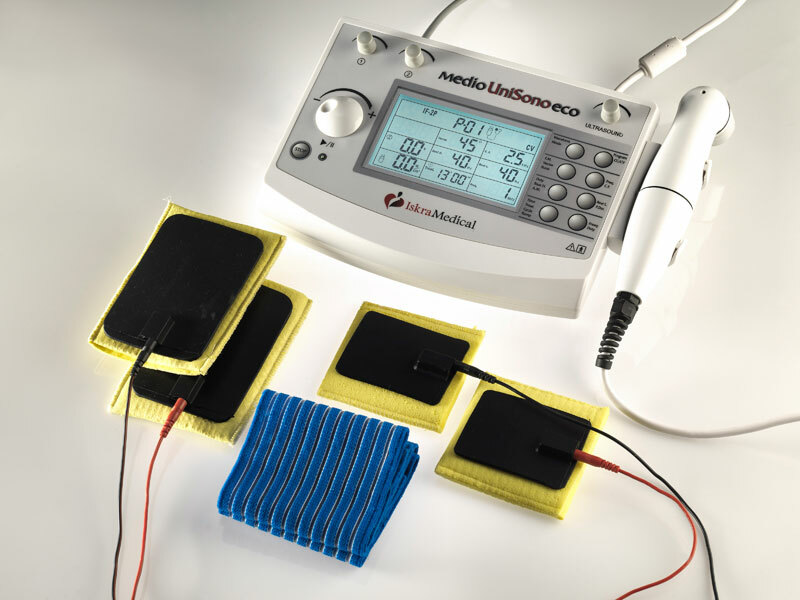 The Medio UniSono eco device allows electrotherapy to be performed while also applying ultrasound. 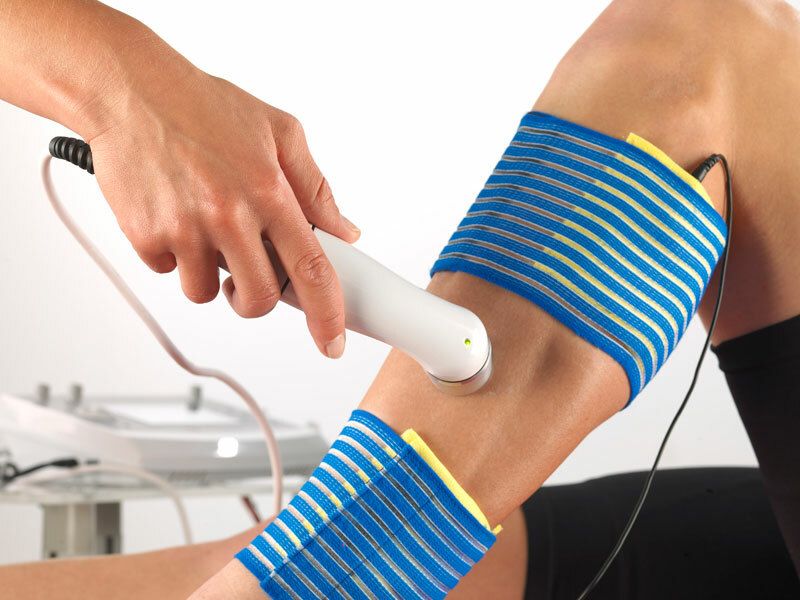 Tissue can thus be healed with ultrasound while pain is simultaneously relieved with electricity. This ensures faster, more effective and less painful therapy. 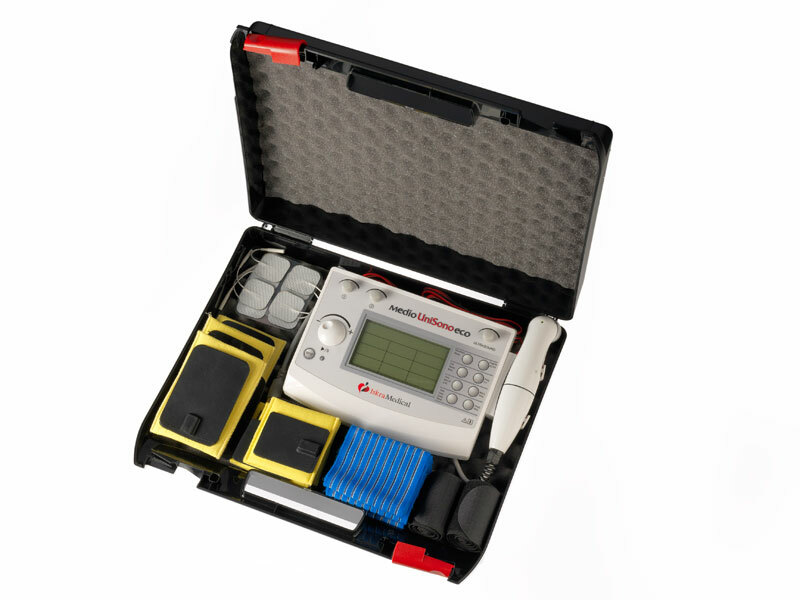 You can use the Medio UniSono eco device to apply ultrasound at two frequencies, 1 MHz or 3 MHz. The frequencies have different absorption properties, allowing treatment of both deeper and superficial tissues. The ultrasound probe’s visual contact indicator ensures that the desired therapy time is also achieved. The ability to switch from constant current (CC) to constant voltage (CV) mode ensures high safety and comfort for both the patient and the therapist when performing therapy using fixed electrodes or a movable ultrasound probe. Device has preset and manually adjustable programs. Technical data, basic equipment and additional options are available on the last page of the brochure.